I wanted to take a moment to post my official review of Enchanter, the latest release in the Flawed series by Becca J. Campbell. If you’re not familiar with the series, it’s set in a world where some people develop supernatural abilities, sometimes referred to as “flaws” by those who feel their abilities are more of a curse than a blessing. I’m a huge fan of Becca J. Campbell and the whole Flawed series, so if you haven’t read them yet, be sure to pick them up! The series consists of four full-length novels: Empath, Outsider, Protector, Enchanter. There are also a few short stories in the series: Pulled, Constricted, and The Father Hunt. This fourth and final installment in the Flawed series once again pulls together a crew of friends with unique abilities. This time they must face the fury of a vengeful enchantress. Wow, what a great read! 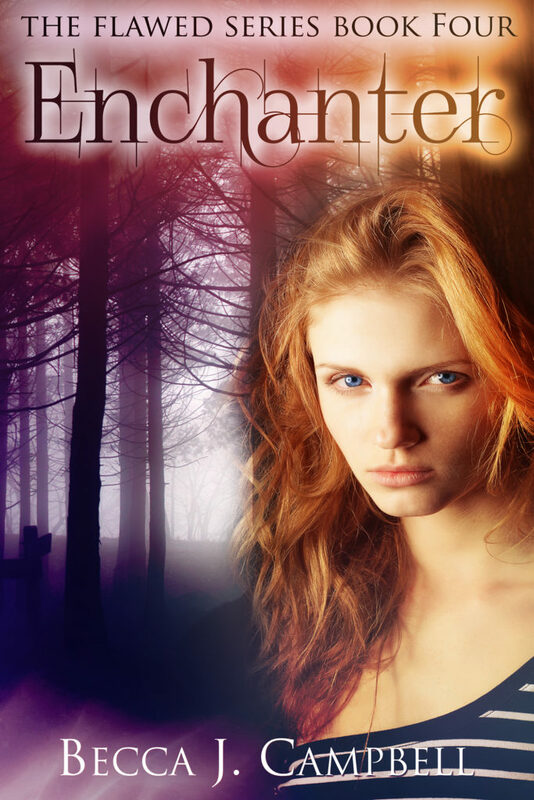 Enchanter by Becca J Campbell is the fourth and final book in the Flawed series. And I must say, she ended this amazing journey in a spectacular way. In case you haven’t read all of the books (something that should be remedied immediately) The Flawed series centers around a group of individuals who have developed supernatural abilities ranging from ultra strength, to not feeling pain, to absorbing the pain and ailments of others. Enchanter again follows the story of Jade, an empath who is learning to control her evolving powers. She is confronted by some very tough decisions, challenging her values and her control. These challenges cause her to cross paths with a couple of familiar characters: the ever-loveable Graham from The Father Hunt, and Violet, this installment’s love-to-hate villain. Violet has developed some abilities of her own, and she is out for revenge. P.S. I would like to thank Becca J Campbell for sending me a copy of this book in exchange for my honest review. I hope you enjoyed reading the review. Look for Becca’s books on Amazon. And check out her website: BeccaJCampbell.com to stay up-to-date on her upcoming books, news, giveaways, and more!